Cleaners & Stain Removers specially manufactured for cleaning and removing stains from from a variety of fabrics including Sunbrella, upholstery fabrics & vinyl's, leather and most outdoor fabrics. Cleaner, Polisher, and Preservatives for plastics such as, Lexan®, polycarbonates, extruded vinyl plastic, acrylic, clear vinyl, glass, isinglass, Strataglass, mirrors, windshields, and anything optical. Water proofing and sealants for Sunbrella®, cotton canvas and sewing seams. 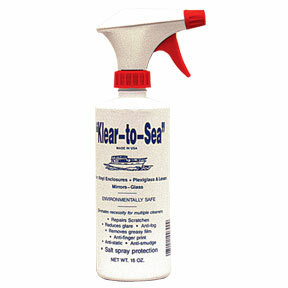 Excellent sealants for boat tops, camping trailers, tarpaulins, tarps, tents, upholstery fabrics etc. 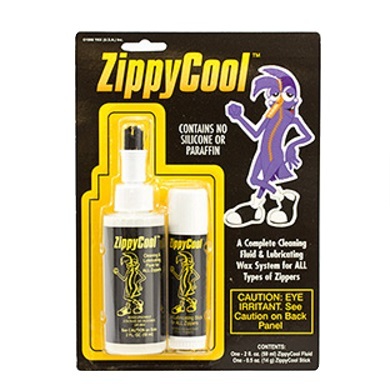 Lubricants for zippers, snaps and foam by YKK®, Iosso® and Sluyter®. Metal Polish is recommended for use on brass, copper, chrome, stainless steel, aluminum, magnesium, silver, gold, porcelain, fiberglass, Plexiglas, hard plastics, and painted surfaces. Removes oxidation, tarnish, surface rust, and water spots. 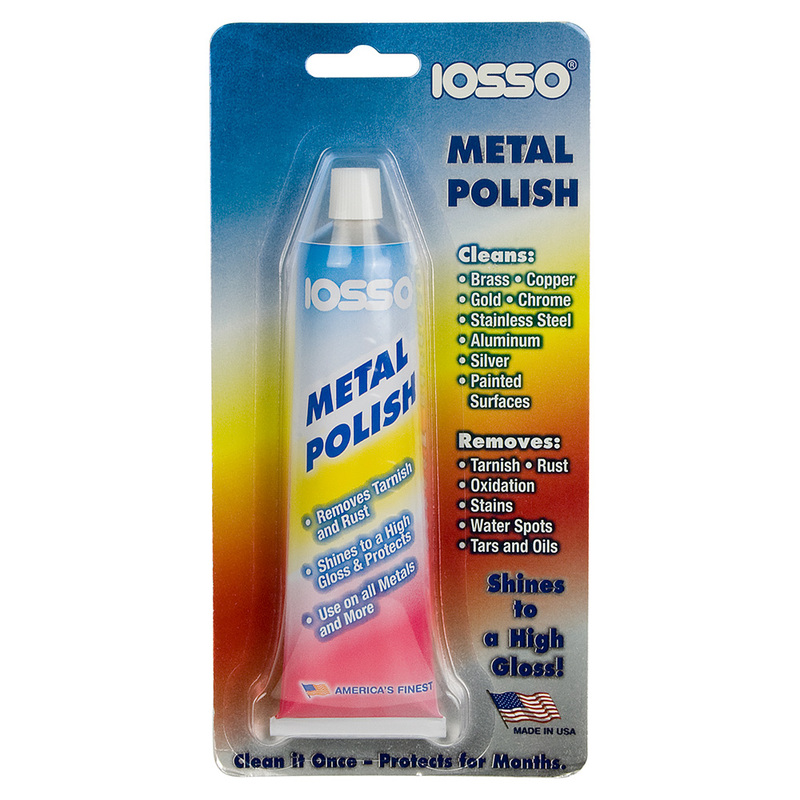 Iosso Metal Polish is a one-step cleaner that easily restores the shine to these metal surfaces. Easy to use, just rub on, and then buff off. It may be used with a buffing wheel. It leaves a brilliant shiny yet protective coating that lasts for months. 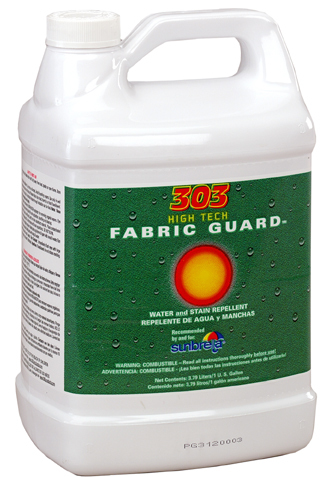 303 UV Protectant for upholstery vinyl's, plastics, Plexiglas, sports equipment, automobiles, boats, RV's, leather and more. Dries to a clear matte finish without a trace of oil, and because it is water-based, this protectant is safe to use on all products. Marine grade silicone caulking & silicone spray and liquid lubricants. 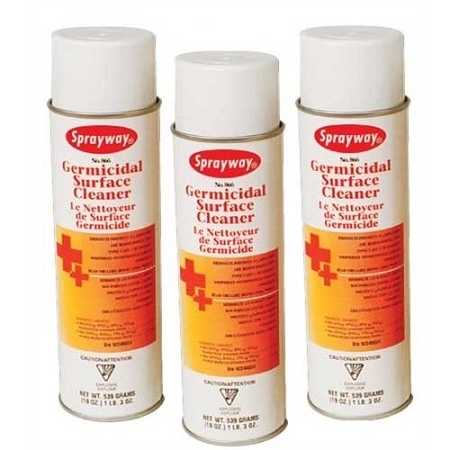 Disinfectants and Deodorizers for upholstery fabrics. Cleaners, UV protectants, preservatives, disinfectants, polishers, water proofers, specifically made for window vinyl plastics, vinyl fabrics, marine fabrics and upholstery fabrics by manufactures such as Iosso®, Imar®, 3M®, YKK®, 303® and Aqua-Tite®.